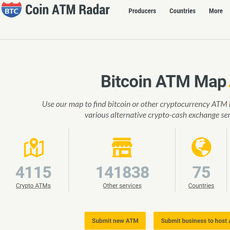 6+ Bitcoin Peer to Peer and ATMs - Cryptolinks - The World's Best Cryptocurrency Sites List! Before one can get involved in trading one must be exchange something for something, either a product for money, a product for another product or a service for money. There is no trading without exchange and most times it always involves money because it is like the most accepted means of trade either virtual or physical. In the Crypto world, trading is like the main word here, buying and selling of Bitcoin and converting them to other local currencies. 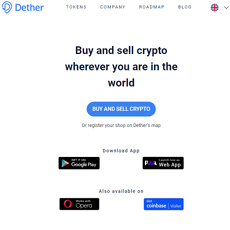 Some of these sites help provide access to easy and comfortable trading in which you can buy and sell any Cryptocurrency swiftly and without by just making use of your mobile device and visiting the website. You don’t need to pay in order to trade; they offer free access to trading with bitcoin, dash, altcoin, Ethereum and so on. Some of these sites offer easy payment options. Their payment options are not complicated in any way in which you can make use of the most common of making payments such as Paypal, Wellsfargo, Moneygram, National Bank transfers, Western Union, Onevanilla gift card, amazon gift or any credit or debit card. On some of these you can have as many as 300 ways to buy and sell digital money. 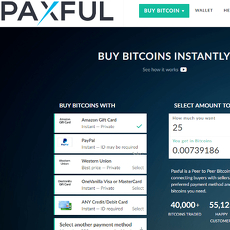 Some of these sites provide users with opportunity to buy any coins very easily with no need for ID or bank account you can just walk over to their closest branch and deposit cash to the teller and then upload the receipt and get your coins in a few minutes or instead of stressing yourself leaving your house you can buy your coins using online transfers. 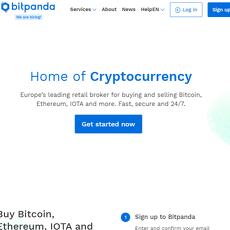 Some of these have very fast and reliable trading facilities such that with their strong API applications and high-end servers you order for your digital coins and get in 24 hours. 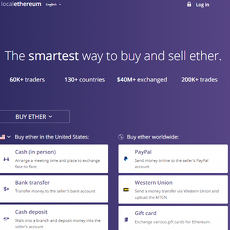 Some of these sites offer access to users to trade in only digital currency such bitcoin, Ethereum, dash and so on, while some other sites are made readily available to support trades with two or more digital currencies. Most of these sites on this platform have provided means on their sites for new users to be have access to useful information such as what the coin is, how to get started, how to buy and sell on their sites so as to understand how their system works. On some of these sites one can have access to news updates such as new bitcoin transaction fee system, compensation for users holding Bcash (BCH) balances, more tools for off-chain transactions and so on. One can also have access to their blog to get access to more updates and articles. On some of these sites you also get access to guides and Frequently asked questions for easy understanding of the site and to trade on it. You can also get access to API documentations and so on. Some of these sites have made readily available security measures to ensure easy, safe and convenient buying and sell. On these sites you can pay with confidence and zero worry because they verify and check all their sellers for your safety. With their escrow, highest-level encryption and professionally audited security you can keep your mind and trade with a smile on your face. Some of these sites have provided access to trade at your convenience from anywhere in the world. 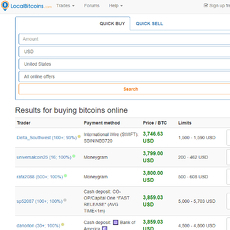 For instance, LocalBitcoins.com allow access to trade on their site in over 16391 cities and 248 countries including Norway. Some of these have highly developed feedback mechanisms in which you can contact to report any issue you are having or you want to file a complaint about a trade, they have team on standby to help you out. They also offer one-on-one services for buyers who are new in the business, with instant live chat; you can be put through by one of their experienced sellers.